We love to welcome alumni and alumni families back to Pine Crest! To schedule a visit, please complete and submit the form below. If you have any questions please contact Flynn Turner, Director of Alumni Relations and Programs, at flynn.turner@pinecrest.edu or 954-492-4111. If you are an applicant or a prospective family, please email the Office of Admission at admission@pinecrest.edu. 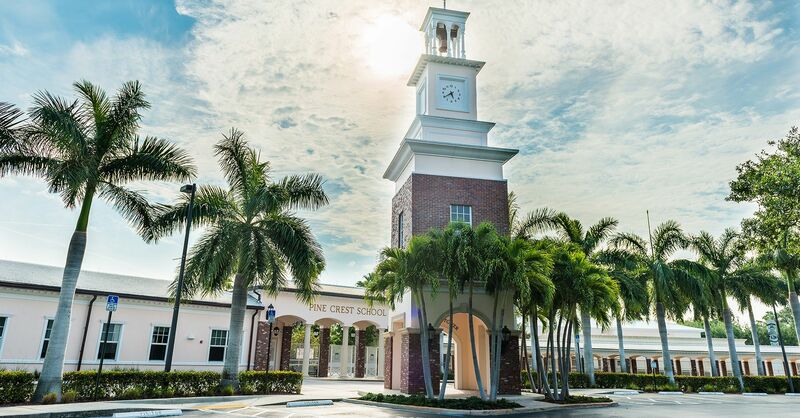 -Please contact Pine Crest School’s Director of Alumni Relations Flynn Turner at flynn.turner@pinecrest.edu or 954-492-4111 to schedule your visit between Monday and Friday, during school hours. To allow us time to make all arrangements for your time on campus, please schedule your visit a minimum of 48 hours in advance. -You will be asked to specify the purpose (such as a general campus tour, a tour of a specific facility or area, or a visit with a specific person) and time duration of your visit. If you wish to see a specific member of the faculty or staff, the Director of Alumni Relations will confirm your visit with that person and notify his/her appropriate department head so as to not interfere with scheduled teaching and coaching activities. -Immediately upon your arrival to campus, you will need to check in at the Security Desk and present a government-issued ID. You will be issued a Visitor Pass to be worn visibly near your right shoulder while on campus. -Because every visitor must be accompanied at all times on campus, the Security Officer will call the Office of Advancement for a team member to meet you at the Security Desk and accompany you throughout your visit. For alumni who come to campus without a scheduled appointment, the Office of Advancement will make every effort to have someone available to meet you at the Security Desk and guide you on a tour. Do keep in mind, visits with specific individuals must be scheduled ahead of time. The School reserves the right to remove or restrict guests and visitors who cause disruption to programs, activities, services and/or classes, or for any other reason deemed necessary to the School. We love to see you back home and wish to make your visit a meaningful one!